Today's card is for the challenge over at Cookie Crafter. 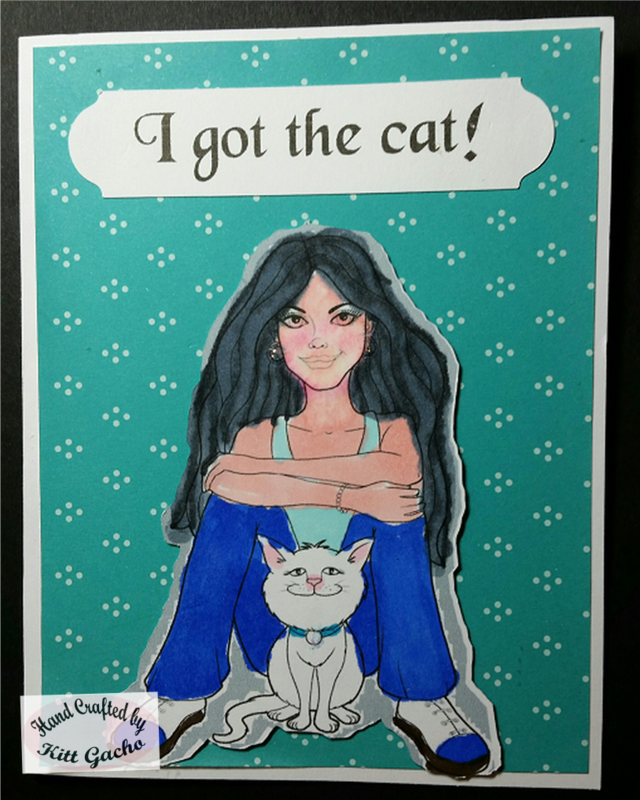 Be sure to stop by and see what the talented DT has for your animal inspiration. The image is from SLS LINES. The image reminds me of my ex DIL and yes she has 10 cats at last count. I also wanted to practice coloring black hair. I used the Silhouette Cameo to cut and print the sentiment label and image. 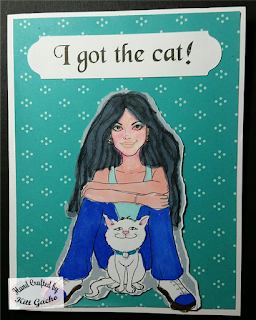 I used Chameleon markers and Spectrum Noir markers to color it and added some Stickles diamonds to add some bling to the cat collar and her earrings. Thanks for stopping by today and leaving your comments. Have a happy crafty day.